Single acting models have spring return. can supply special seal kits for deep water operation. CC0018, CC0040 and CC0075 models are autonomous, with integratedl pump to enable working in difficult positions. 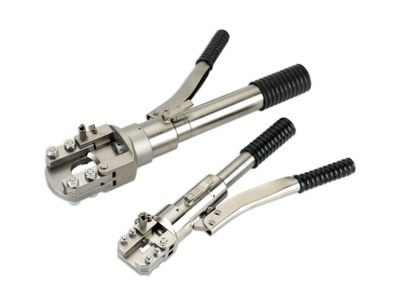 These tools are supplied with a relief valve to prevent overload. Plastic carry box included for easy transport and tool protection. Rotating heads for easy operation. Installing replacement blades is a simple operation.